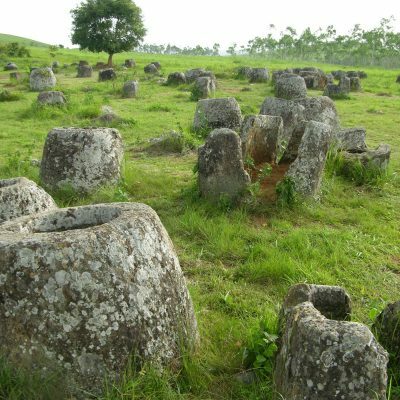 Uncover intriguing, landlocked Laos, on this fascinating journey through the country's main highlights. Laos, known for mountainous terrain, French colonial architecture, hill tribe settlements, Buddhist monasteries and the mighty Mekong River. 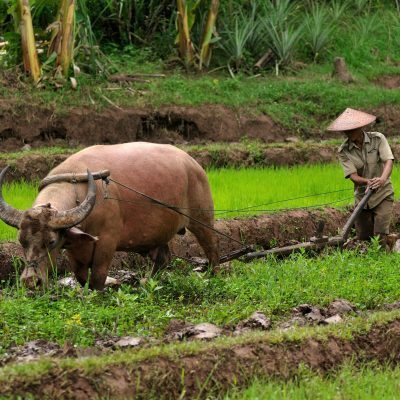 Landlocked, the country has a slow pace of life with friendly locals, and has remained relatively untouched compared to its neighbouring countries of Cambodia, China, Burma, Thailand and Vietnam. 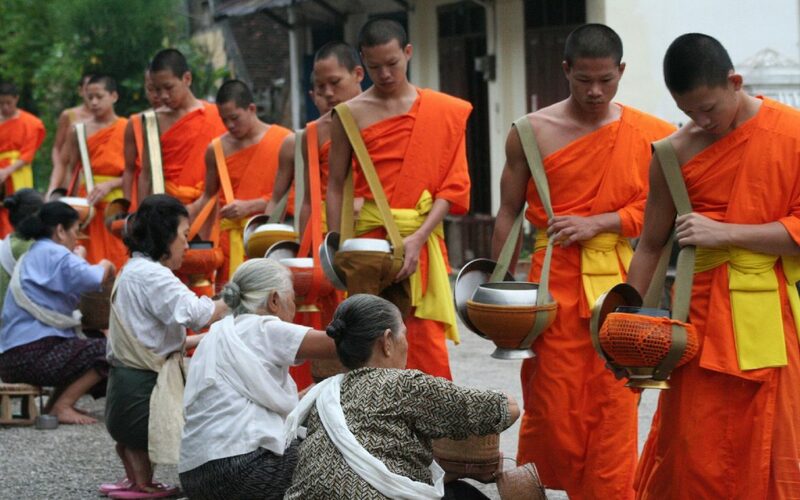 Luang Prabang, a Unesco World Heritage site, is a popular place to start, as it offers a wonderful variety of colonial architecture, Laotian buildings and Buddhist temples. The magnificent Kuang Si Falls is a highly recommended day excursion and can easily be reached when staying in Luang Prabang. Vientiane, the capital, sits on the banks of the Mekong, and is home to the That Luang monument, where a reliquary reportedly houses the Buddha’s breastbone, plus the Patuxai war memorial and Talat Sao (Morning Market), a complex jammed with food, clothes and craft stalls. 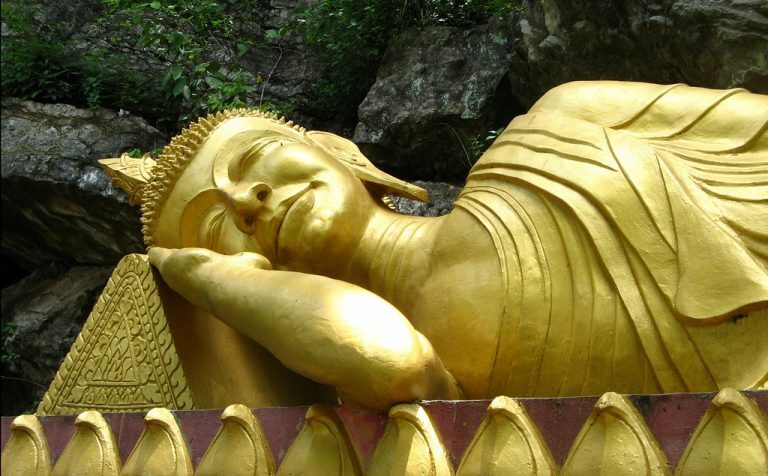 You can also enjoy a variety of outdoor activities such as tubing in picturesque Vang Vieng, on the Nam Song River. Are flights included in the holiday price? For your convenience international flights are included in each tour. The group tour prices are based on departing London Heathrow with Cathay Pacific via Hong Kong. It is possible to fly direct to Vietnam from London Heathrow with Vietnam Airlines. Can I fly from a regional UK airport? Regional departures from Manchester, Birmingham, Glasgow and Newcastle are also popular, with Emirates, Etihad Airways, and Qatar Airways being the recommend airlines. With a wide selection of airlines and routs on offer we recommend you call one of our expert travel advisers for more information. If you have already purchased your own international flights, we can put together a land only tour to fit in with your schedule. This will include the meet and greet service at the airport and return airport transfers. What is Laos food like? Traditionally, Laos food is spicy – Lao people will often add extra chillies; use heavy seasoning, with fish sauce often being used to flavour dishes. Laos cuisine blends Thai, Vietnamese and Chinese. What are the must-try dishes in Laos? Laap, a speciality, is a dish of minced meat, fish or vegetables tossed in lime juice, garlic, onions, powdered rice and chillies. 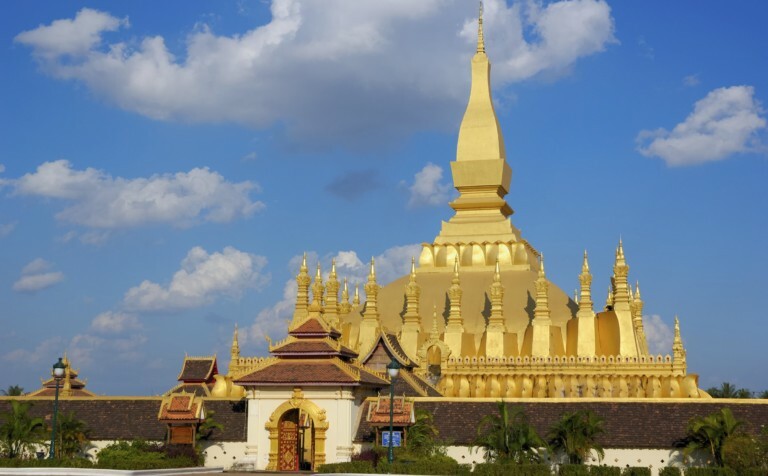 What is the official language in Laos? 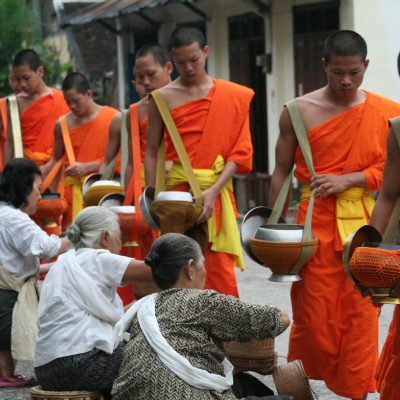 The official language in Laos, is Lao which is spoken by most of the country. Do they speak English in Laos? English may be understood in the major tourist areas, although most likely not in other more rural regions. Do I need a visa to travel to Cambodia and Laos? 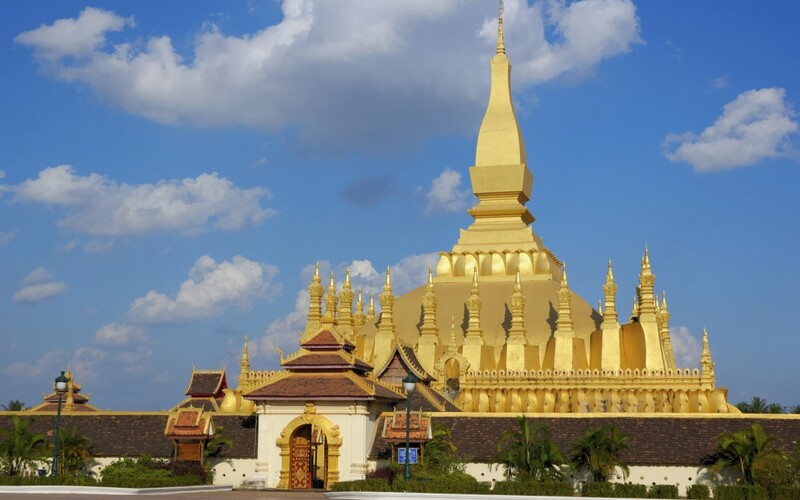 Visas for Laos and Cambodia can be obtained upon arrival for US$35. British passport holders can enter Vietnam for up to 15 days without a visa for travel, up to 30 June 2021. 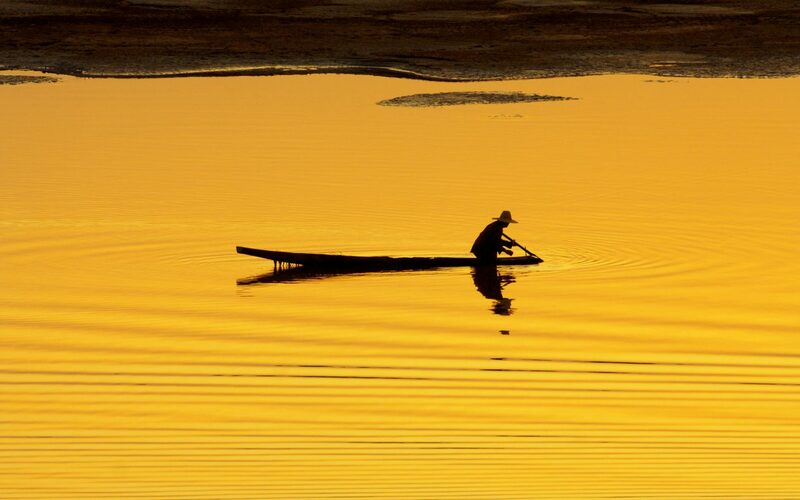 If you are taking a Mekong River cruise from Vietnam, you will need to apply for your Cambodian visa on arrival at the River border crossing. Any visa obtained in advance will not be valid. Laos’ currency is the Lao Kip (LAK), which is issued in denominations of 500, 1,000, 2,000, 5,000, 10,000, 20,000, 50,000 & 100,000 notes. The Kip is non-convertible outside of Laos. In the larger cities and towns US Dollars and Thai Baht, are readily accepted. In smaller towns and villages, LAK is preferred. Are there ATM's in Laos? ATM's can be found all over Laos, and dispense a maximum of 700,000K to 2,000,000K (about US$85 to US$250) per transaction, depending on the bank. A number of the larger hotels, upmarket restaurants and gift shops in Vientiane and Luang Prabang, accept Visa and MasterCard, and some also accept Amex and JCB. Outside of these main towns, cash will need to be used. Banque pour le Commerce Extérieur Lao (BCEL) branches in most major towns offer cash advances/withdrawals on MasterCard and Visa credit/debit cards for a 3% transaction fee. 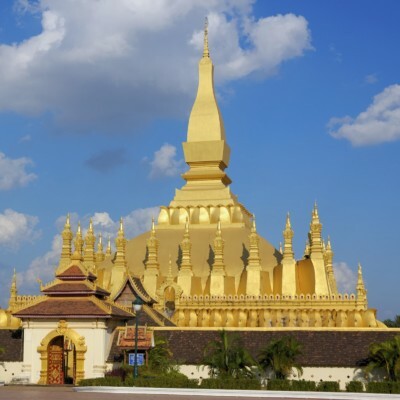 Does the government issue advice for travellers to Laos?